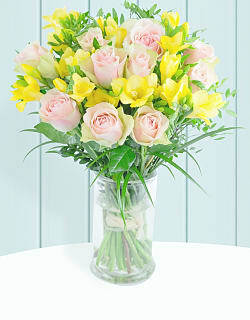 We have selected the finest flowers for this special bouquet. 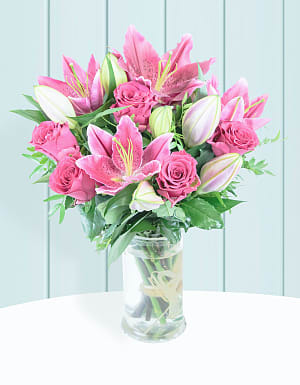 The luxurious colours and various textures of this flower arrangement make them a superb addition to any room. 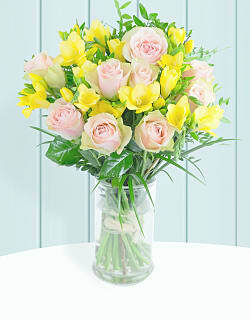 Perfect for all occasions and recipients, we offer FREE flower delivery on this bouquet. 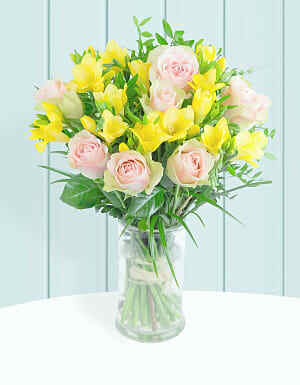 Roses and Freesias has been added to your basket.